Improving educational workflows and communications allows you to devote time to your students. Communication is critical in schools. And schools use documents every day to educate students, inform faculty and staff, and share information with parents. Forms for field trips, sports, and more need to be printed, signed, and stored. Student records need to be securely managed. 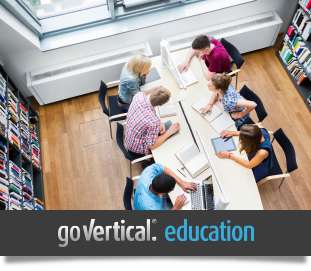 As more teaching is done online, schools need robust, secure networks that supports teaching as well as the back office processes that keep the school running. You need safe and secure document management, printers and digital copiers that are easy-to-use and tough enough to stand up to constant use, and you need to do everything under tight budget constraints. Datamax Arkansas can help. Route student information, class assignments, and test results to SharePoint, email systems, and shared document repositories. Accurate print and copy charge-back to departments and individuals – students, teachers, and guests. Authentication technology restricts access to forms and documents keeps records secure and helps adhere to FERPA guidelines. Print anything and use print rules to route jobs to the most cost-effective printer on campus. 24/7 mobile printing allows students and faculty to print and scan to any networked digital copier via a secure wireless connection from mobile devices – like your phone. 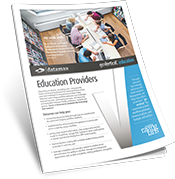 Educational Institutions can go Vertical® with Datamax Arkansas to achieve flawless communications, efficient business processes, and budget savings. We understand your needs and how our technology can help you achieve peace of mind.